As social studies educators, you are responsible for teaching students the content knowledge, discipline specific thinking skills, and civic values that are vital for fulfilling the duties of citizenship in a participatory democracy. 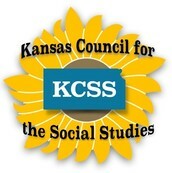 Our task at the Kansas Council for the Social Studies is to provide leadership, service, and support to make your job easier. 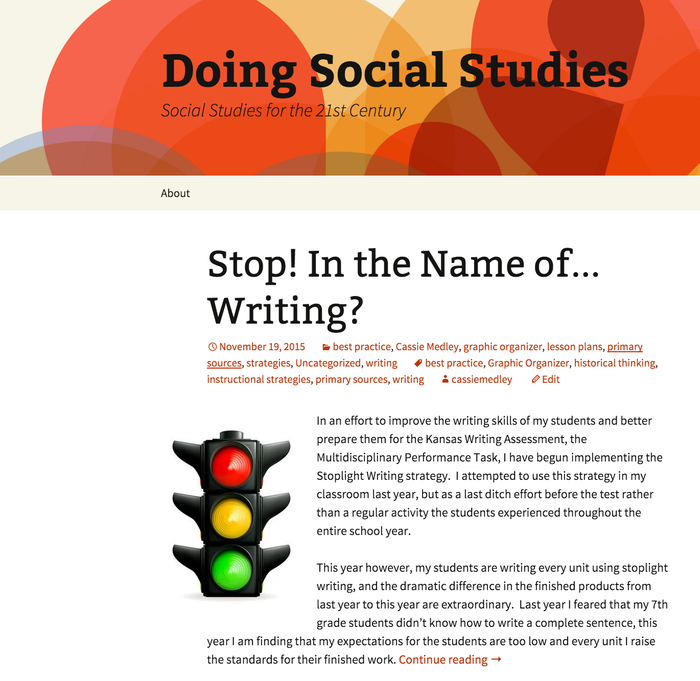 Use the resources and information below as you continue to hone your instructional skills. Feel free to pass the newsletter on to others! The Judy Cromwell Excellence in Teaching Award is intended to reward and encourage high quality instruction in the social studies and is awarded annually by the Kansas Council for the Social Studies. 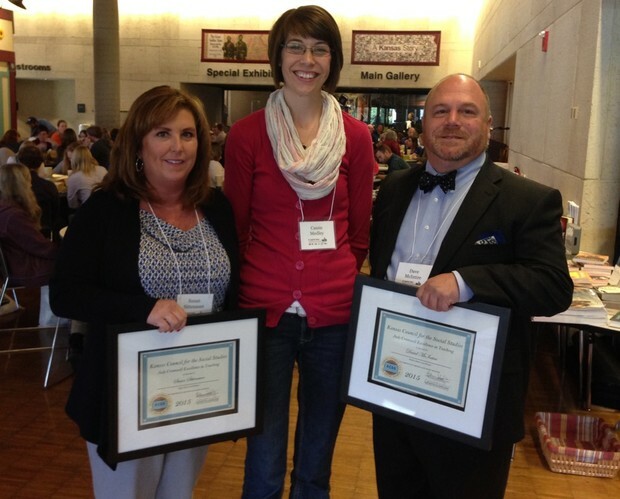 KCSS is honored to present the 2015 Award to Dave McIntire and Susan Sittenauer. Dave teaches seventh-grade world history and eighth-grade American history at The Independent School in Wichita. 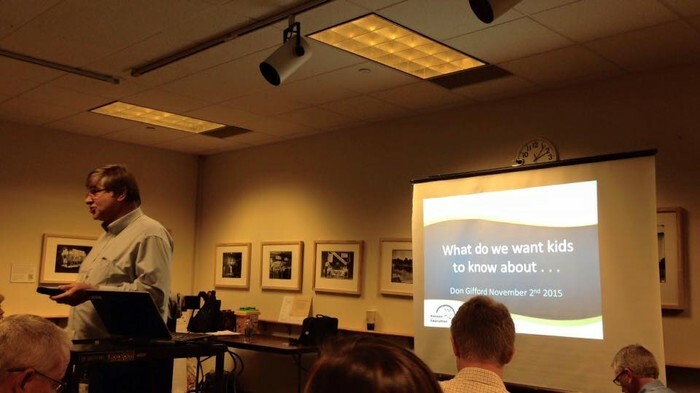 He has a distinguished record of supporting the discipline through presentations at state and national social studies and history conferences, participation in a wide variety of professional development opportunities including gilder Lehrman and National Endowment of the Arts summer institutes. Susan currently teaches AP US History and Civil & Criminal Rights classes at Topeka Seaman High School. 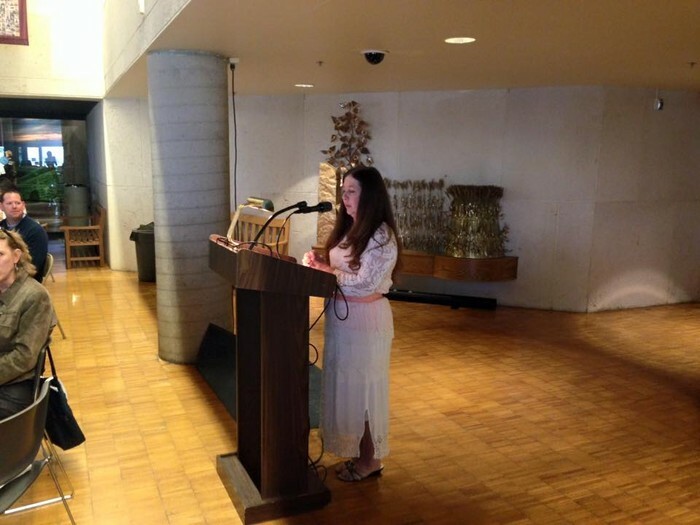 She has helped hundreds of students qualify for Kansas State History Day and over 80 qualify for National History Day. Dave and Susan received free Kansas social studies conference registration, a framed certificate, and a $500 cash award. 2015 Cromwell Teacher of the Year winners Susan Sittenauer and David McIntire with KCSS Awards Committee Chairperson Cassie Medley. Together with the Kansas Council for History Education, the Kansas Council for Economic Education, the Kansas Geographic Alliance, the Kansas Historical Society, and the Kansas Department of Education, KCSS was honored to be a part of a statewide social studies conference held at the KSHS museum on November 2. Over 150 people attended a variety of sessions with a focus on integrating social studies and literacy. Conversations included resources such as the Kansas Assessment Program with sample questions, writing prompts, and primary documents by grade level. MDPT grading rubrics can also be found on the KSDE ELA Assessment page. Planning for next year's conference is already underway. Look for updates, details, and registration information in late spring. While you wait, head over and browse through presentation materials from this year's session. 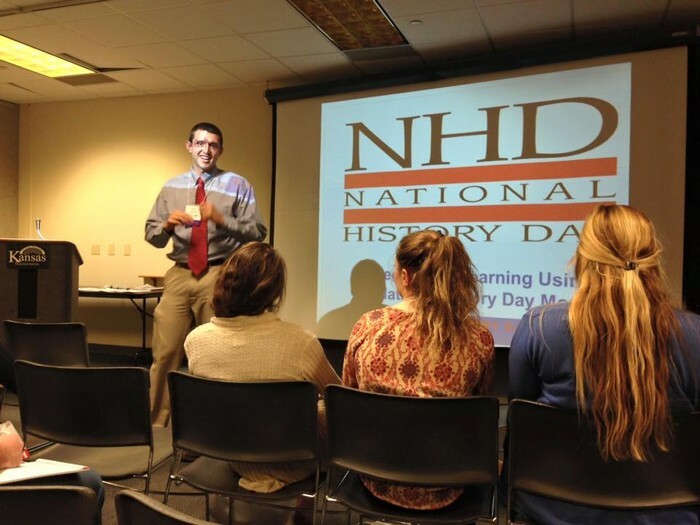 Kyle Johnson shares information on PBL in the classroom and as part of National History Day. 2015 Kansas Gilder Lehrman Teacher of the Year Jolene Pennington accepts her award. KSDE consultant Don Gifford highlights resources for integrating literacy into social studies instruction. Social studies teachers are always on the lookout for new instructional tools. You'll want to give these a try. Trust us. 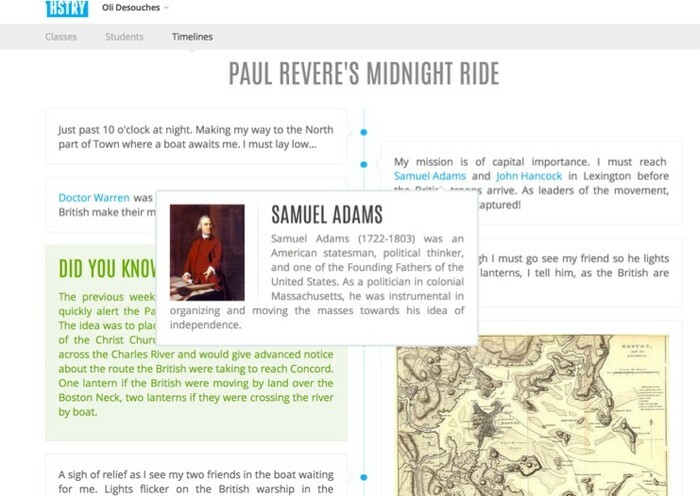 HSTRY is a free interactive timeline tool that lets you create online classes, add students, and then share powerful timelines with your kids. And your kids can create their own timelines and push them back to you. The New Immigrants iPad app explores the immigrant experience through a carefully curated collection of over 100 artifacts that includes photos, documents, newspaper articles, political cartoons, and videos. Using the iPad interface, teachers and students can dig deeply into the journey, triumphs, hardships and everyday experiences of immigrants who arrived in New York City at the turn of the century. 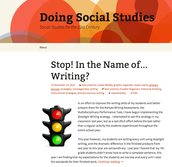 Doing Social Studies is a place for a variety of voices to discuss what high-quality social studies looks like in the 21st century. 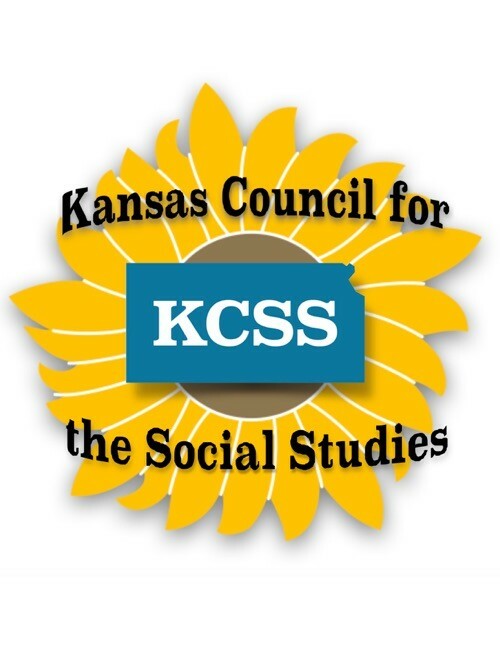 KCSS board members and other educators from around the state share ideas, resources, and materials about how we can all do social studies better. We'd love for you to join the conversation by stopping by and leaving your own ideas and suggestions. 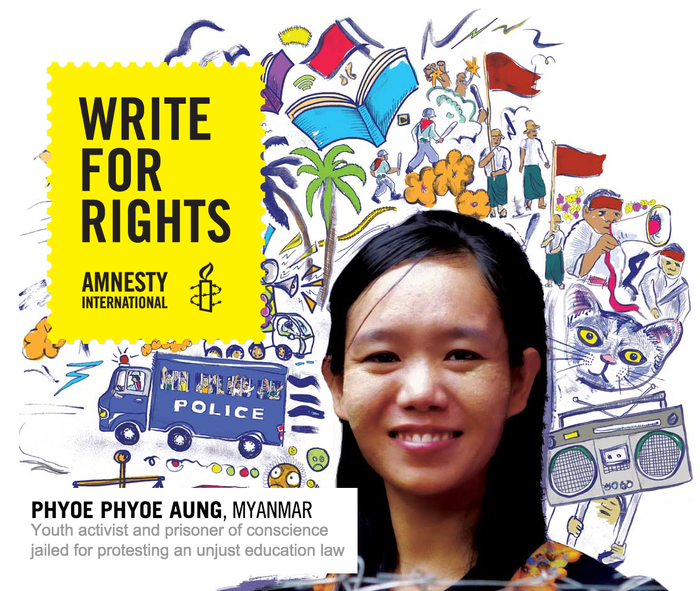 The Amnesty International Write for Rights project asks students to learn about five human rights cases and craft letters to help end injustice, Through the process, your students will gain an introduction to human rights, develop literacy skills skills, and the knowledge that their words have the power to make a difference around the world. Learn more and download the Teacher's Guide. The Upstander Project highlights a pair of documentary films that discuss two different human rights issues. Coexist, a full-length documentary, examines Rwanda's unprecedented social experiment in government-mandated reconciliation following the 1994 genocide with instructional resources. First Light, a documentary short, exposes how generations of Native American children have been forcibly removed from their families and culture. Upstander partners include such groups as Teaching Tolerance, the Thomas J. Dodd Research Center, and the Massachusetts Foundation for the Humanities. Sign up here to get on their mailing list and for the chance to win a free download of First Light. Do you know someone who's not yet a member of KCSS? Send them to our membership page. Membership is free and a great way to support the discipline. If you're already a member, be sure to follow our Twitter feed and Facebook group for the latest updates.